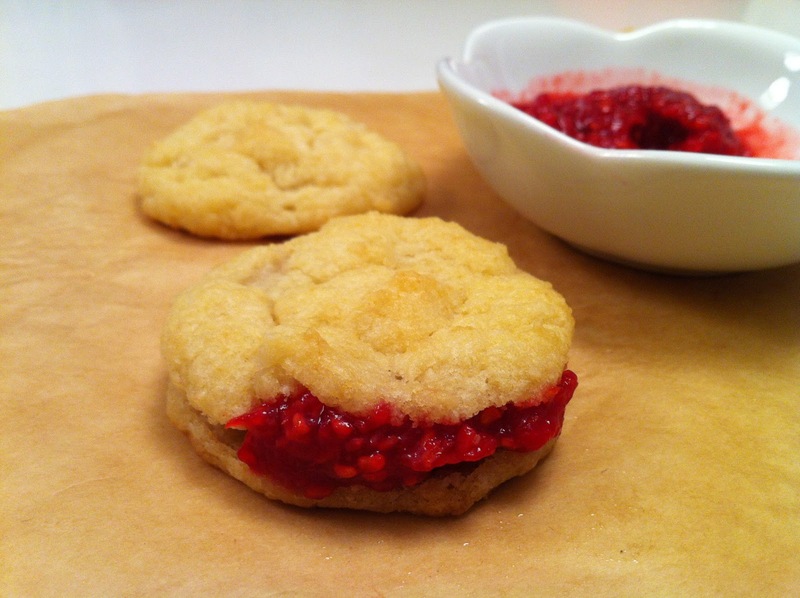 biscuit with raspberry jam | what is clara eating today? Mix Carbquik and cream well. Divide the dough into two and place on baking sheet. Bake at 350F for 10 minutes. Put half of the butter on top of each biscuit while it is still hot/warm. Heat mashed raspberry and Truvia in a small sauce pan. Stir constantly as you mash the raspberries, for about 2-3 minutes. Add xanthan gum. Let it cool.